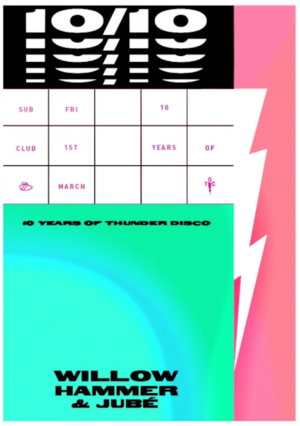 Thunder Disco have put together a solid year of artists for y’all to celebrate 10/10 YEARS OF THUNDER DISCO. 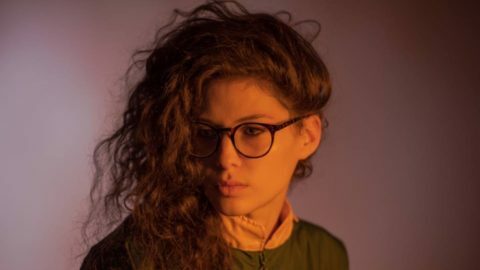 First up is the eclectic sounds of the rising talented DJ and producer – Willow. The Manchester-born Sophie Wilson was heavily involved in Nottingham’s 808 parties and was recognised by the highly respected veteran of house Move D with the breakthrough release of her leftfield track ‘Feel Me’. She has since gathered an international following with a lot more to come. For the last ten years, Hammer & Jubé have always pushed to host an array of original talent in the prime of their game or in the process of rising to big things. With memorable nights from the likes of Paranoid London Live to Ben Ufo b2b Bake to Bicep Live, Orla, Denis Sulta & Floating Points to name but a few. Willow is no exception to this and Thunder Disco can’t wait to kick off their 2019 residency with her behind the decks at Sub Club.